We are a technical Taiwan Ice Powder manufacturer, factory, supplier and exporter. Depending on stable investment, superior competence and good after-sale service, we have made us as one of the leading manufacturers and exporters in the industry. We promise quality products and competitive price and on-time delivery for you. We have been establishing long-term business with our customers. If you are interested in any model of our products, please be free to contact us. 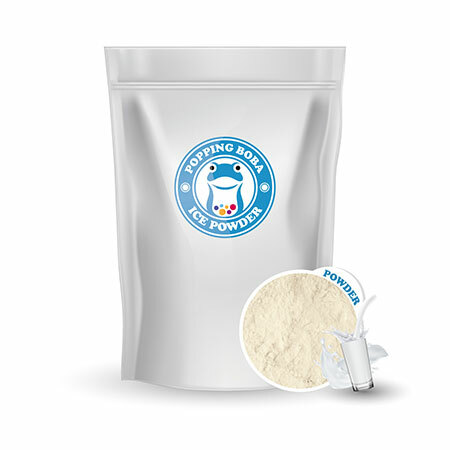 Snow ice powder is one of the essential ingredients of snow ice, there are two flavors - plain and milk. It could have the snow ice ingredients to be mixed more properly while being blended and freezed, thus the blocks are much more unlikely to have sediments in the snow ice making machine. Moreever the snow ice will has a silky texture while being shaved by the snow ice shaving machines so the ice will be served more like its name "snow". Please store in a shadowed place.